This is a CBD Rich strain with 9.5% CBD and 11% THC. Omrita RX is one of the most medicinal strains we have seen with a very high CBD content. It grows with a prolific life force, producing a jungle of leaves that are great for juicing. Omrita RX is about 65% Indica and 35% Sativa. 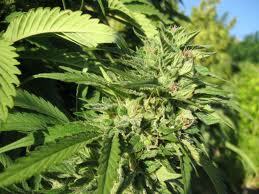 Its medicine is very good for pain, inflammation, nausea & anxiety. High CBD content inhibits the propagation of cancer cells and shrinks tumors. It is also good for anxiety, tremors and nerve damage. Omrita has a high content of the terpene “Beta Caryophylline”, which provides very good anti-inflammation effects.